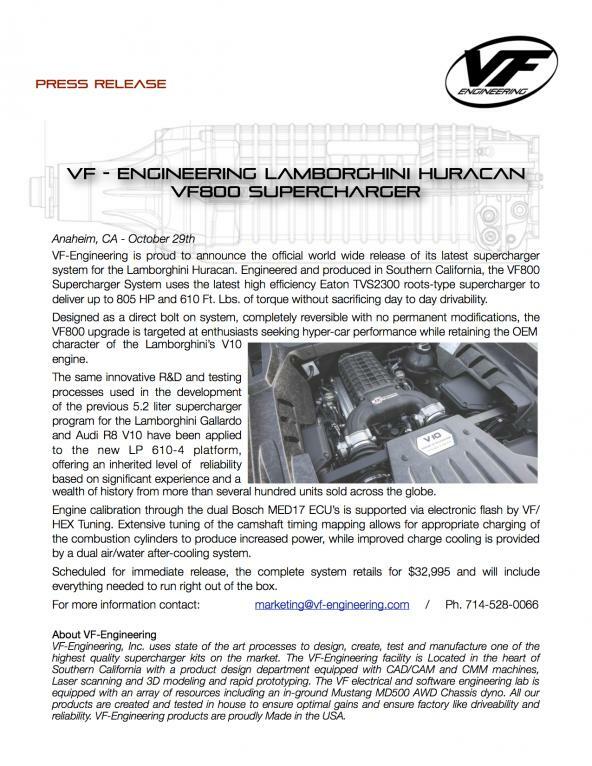 With SEMA now less than 72 hours away, we are elated to announce the Official Release of our latest VF-Engineering VF800 Supercharger System for the Lamborghini Huracán LP 610-4. With systems AVAILABLE NOW, we will begin shipping to Authorized Dealers and Installers world-wide throughout November. To obtain more information or be directed to the Authorized Dealer nearest you, feel free to contact us directly using the information below. Last edited by VF-Engineering; 10-31-2015 at 09:47 AM. 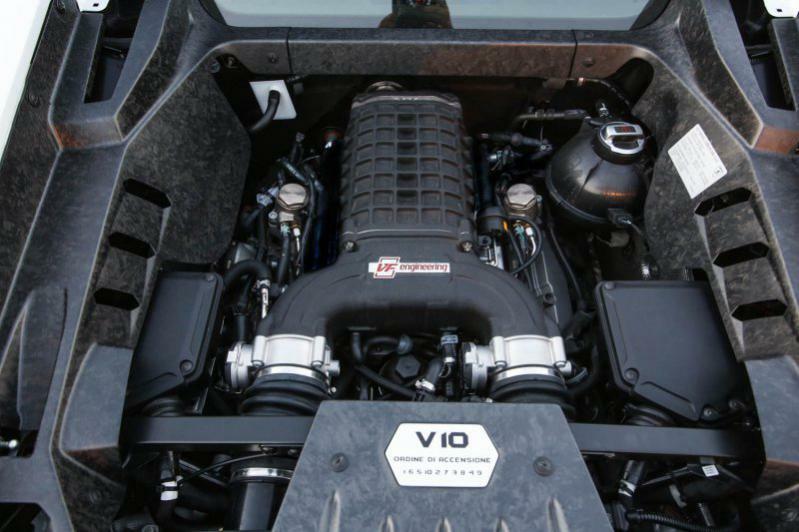 VF-Engineering, Inc. uses state of the art processes to design, create, test and manufacture one of the highest quality supercharger kits on the market. 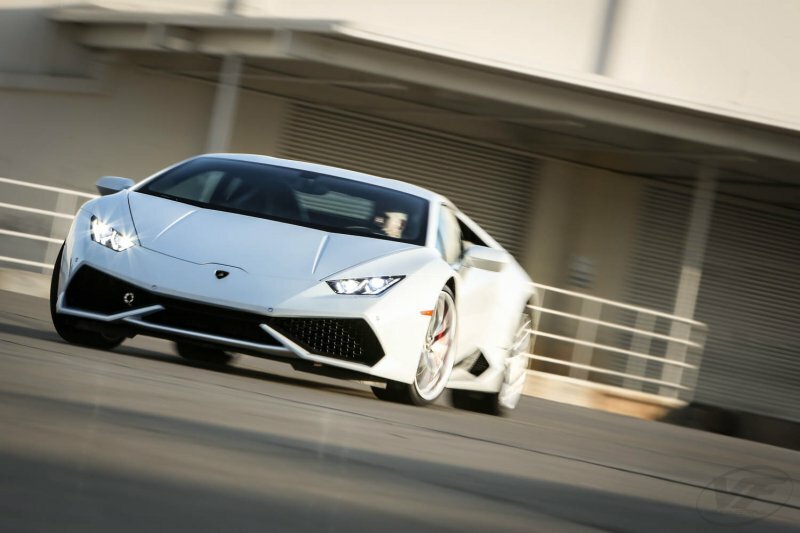 The VF-Engineering facility is Located in the heart of Southern California. All our products are created and tested in house to ensure optimal gains and ensure factory like driveability and reliability. Proudly Made in the USA. STaSIS R8 V10 Software Official Release! Official release of 2012 STaSIS software for R8 V8!